For once I picked up this book on purpose rather than receiving it free in exchange for a review. It seemed a reasonable choice from among all those books available because, like the author, I spent some time at “Perdue” (as the author spells it in her biography) though I prefer the more traditional spelling of Purdue. After graduating from Denver University, with a degree in Art Education, I attended Indiana State University for my master’s degree. Having earned two degrees in 5 years, I begin teaching and continued to take classes. I now have a lifetime teaching license in Indiana. I have taught Art at all grade levels from Kindergarten to College. I’m married and still living in Indiana. We have two sons who lived nearby. I wrote my first story when I was in grade school. My mother was the only one kindness to read it. My children were in grade school before I started to write seriously. I took a writing class from Perdue University. My stories are a joy to write. The characters can form to my winds and wishes. Like the bio quoted above, the text of this book is riddled with grammatical and spelling errors and at times borders on incomprehensible. As I’ve said of so many books in the past, this one needs the devoted attention of a good editor. The frequent transposition of the number 1 and the letter l make me think this book was transcribed electronically from typewritten pages and never even spell-checked or read over to make sure it was correct. Lastly in the vein of formatting, the narrative switches points of view violently without so much as a blank line to indicate it. This leaves the reader wondering what’s going on and forced to go back and re-read whole pages before coming to the conclusion that one section has ended and another begun. As for the plot, it consists of a story told by an aging grandmother to her curious grandson. Unfortunately, the story is rather flat and predictable and has that rather typical quality of only being truly interesting in the event that you know the person telling the story. It is a frequent and persistent truism that most stories told around the dinner table among family are not usually interesting enough for the general populous to consume and enjoy. This story falls into the rather cliche category of “had to be there”. 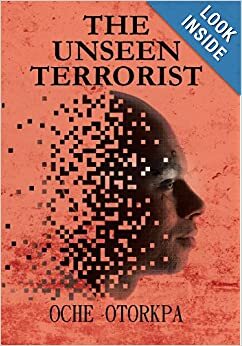 In summary, the author has obviously paid a great deal of attention to certain aspects of this book but has failed utterly to compose a coherent and readable work. 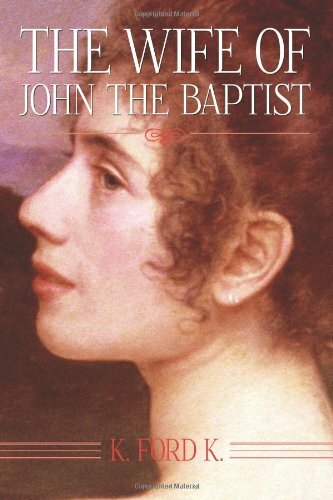 Perhaps with a bit of care and attention to the textual components the story would be brought to light more effectively but in its current form it contains very little to recommend it unless you happen to have some personal connection to the events portrayed by this novel. As usual I paid nothing for this book but instead received it for free in exchange for a review. Despite NetGalley’s kindness I give my scrupulously honest opinions below. This book is pretty simple. It’s just a collection of haunting tales. You could have guessed that by the title alone, I’m sure. But what it is NOT is any attempt to analyse or explain anything. It’s just straight-up campfire-grade spooky stories. To the positive side, I give the author credit for just getting down to it. There is a bit of an introduction but not much and the stories just start right up without excessive preamble. Our tales of horror are divided into handy categories and were all sufficient to raise a bit of gooseflesh on me though I did prime things rather well by laying abed by myself in the dark before reading. It wasn’t enough to keep me up but it did keep me thinking. To the negative, I’m not going to make any comments about whether you should believe any of these stories because, let’s face it, you’ll believe what you want to. However, these did seem to all fall along pretty common lines and you could place each story in some movie or some TV show of the past. I picked out a couple of Twilight Zone plots pretty easily and I’m sure most of these either have their roots in or have inspired some fictional retelling along the way. As I said, it’s up to your belief system which way that pendulum swings. In summary, this is a nice, tidy collection of hair-raising tales that are either just nice stories or real-life accounts of encounters with the supernatural. Which is it? That’s your decision. Laura and I marched off to see this movie after seeing previews for several weeks. Are we glad we did? Oooh, mostly, though it put Laura to sleep and I was very yawnful at various points. I won’t summarize the plot for you because that’s what the description is for but the feel of the movie was very French to me with a bit of 70s criminal comedic espionage movie. Imagine the Pink Panther movies, I guess. 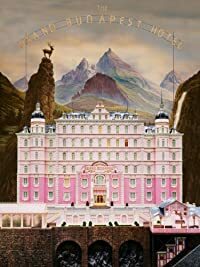 The movie is a first person narrative in which the characters speak to you directly throughout the action much like Amélie, one of my own personal favorites. To the positive the movie was delightfully photographed. The scenes are artistic and well-composed and, as I said, felt very European. The plot is wacky and madcap and isn’t laugh-aloud funny but instead cute and whimsical. That said, it’s not really a comedy as it has a deep undercurrent of tragedy that overtakes the whole thing in the end. On the negative side, when asked closely if she was glad we picked it, she was mildly non-committal since, as I noted above, she did fall asleep during the movie. It is visually stimulating but doesn’t really grab the viewer’s interest. Other reviewers hold differing opinions as aficionados of the cinema but as a plebe it just didn’t quite get my complete attention. In summary, we were the youngest people in the theatre at 45 with the majority of the other viewers ranging into their 50s and 60s. They seemed at least moderately amused and there wasn’t a great deal of snoring (not even from Laura) but I didn’t hear any applauding after the movie either. As usual I received this book free in exchange for a review. Also as usual I give my absolutely candid thoughts below. In a nutshell this book is exactly what you’d expect in such a thing. 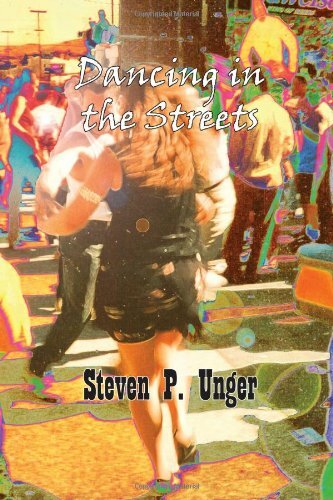 It’s 70 pages long in total and has 22 pages of introduction, about the author, table of contents, mysterious blank pages and an explanation of what he’s trying to accomplish. Following that you have 34 pages of quotes and the author’s explanation of those quotes and what they might mean to you. The rest consists of a pair of appendices that list various truisms about how to be happier. To the positive, I admire what the author is trying to do here. He’s presented in this book in a spirit of helpfulness and has really put his heart into the endeavor. 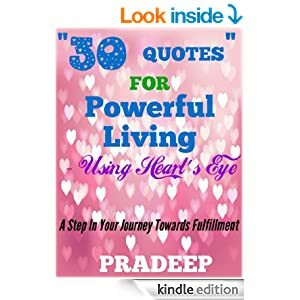 Pradeep really is trying to be a positive influence on the lives of his readers and it shows in his spirited approach to the topic. On the negative, the text is badly in need of revision. The spelling is acceptable but grammar and word usage are clumsy and incorrect much of the time. The book is also heavily padded with blank pages and unnecessary background information. This one could be tightened up to about half its current size. From a content perspective, there’s not really a lot of new information here and what is new comes from such notables as Taylor Swift and Whitney Houston. I’m not personally convinced they belong in a book of quotes along with Henry Ford and the Buddha. In summary, it may be worth a quick look for free but I wouldn’t spend money on it. As usual I received this book free for the purposes of review directly from the author. Also as usual I will give my honest opinions below. This tiny novel is a collection of vignettes from the author’s fight against the HIV virus in Africa. Each section is about 2-3 pages long and bounded by a contextually appropriate quote from some important world or historical figure. The last 10 pages or so are devoted to a pamphlet about the virus and what to do to keep yourself and others safe from it. To the positive side of things, this book is incredibly important from a content perspective and exposes the terrible plight of those in Africa impacted by the plague of HIV. I have no doubt that the author is an absolutely amazing person as he shares these important stories and his own role in the fight. To the negative, the book is simply riddled with grammatical and typographical problems that are extremely distracting. Further, on the Kindle version I received, the photos which are included are blurry and illegible. Lastly, and most astonishing, the author quotes such notable figures as Roosevelt, Oprah, Bill Clinton, and Princess Diane but the person he quotes most often is himself. At least a third of approximately 80 quotations in the book are his own. As nice a gentleman as he is, I’m surprised that he should quote himself in the same context that he might quote Mother Theresa. In summary, this is a rare glimpse into the horrifying world of this disease but it needs a lot of polish and refinement before it’s worth the price to buy it.